By now we’ve all learned that even if the DCEU, DC Extended Universe, and MCU, Marvel Cinematic Universe, borrow heavily from its source material, the stories, events, characters and plots are only inspired by the comics, but not entirely true-to-source. I’d personally say that Marvel is doing a better job on sticking to the script, but it’s not really important since the deviation is great enough to separate what we see on the screen from what we read on the page to differentiate the two. I try to read the stories we’re being sold in the cinema before I go see the movies. Partly because I like to read comics, but also to recognize all the hints, nods, references, characters, original stories and set pieces they portray and write in. 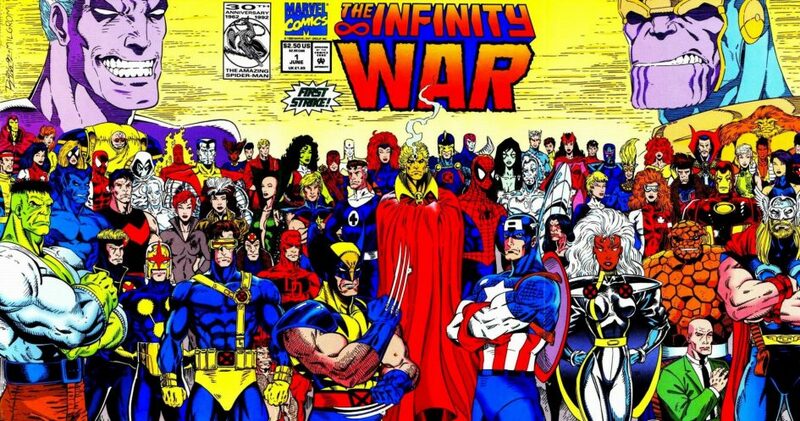 So what I did was gather what is known as The Infinity Sagas, which includes: The Thanos Quest, The Infinity Gauntlet, The Infinity War, The Infinity Crusade, Infinity Abyss, and The End. It was not as daunting and time consuming as reading the entirety of Civil War, but it was still quite rewarding. Both because it’s a good read, but also because it introduced me to a new set of characters that I had not met before. 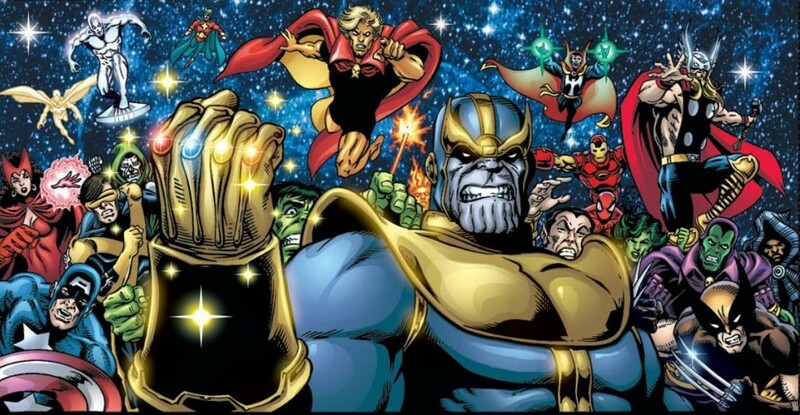 The big antagonist wielding The Infinity Stones mounted on The Infinity Gauntlet is the titan Thanos. Also known as the universe’s biggest nihilist. He is a enchantingly interesting character that I had not know outside of shallow trivia before, but he is simply grand to dive into. The movies, Avengers: Infinity War (part 1 & 2) will have very little to do with the source material. But that was also a lesson we learned from Captain America: Civil War. Omnipotence and Omnipresence according to Marvel does not mean what they mean according to, say, Merriam Webster. Or how do you explain lying to/tricking a being that knows all thoughts and intentions; I don’t care how disciplined Thanos is, something is wrong. The Infinity Saga is basically about taking escalating doses of shrooms, acid, and DMT, and then having to endure overwhelming trips of both good and bad nature; sensations of loneliness while being connected with everything in existence, and knowing that one’s victories and failures are both everything and meaningless at the same time. But it also touches on things such as suicidal depression and what happens after you face and conquer it. At least, if you want to interpret it that way. It can also just be about a bunch of comic book characters fighting an omnipotent nihilist. Oh, and you know that golden post-credit scene from Guardians of the Galaxy 2? That’s Adam Warlock. He’s kind of important.